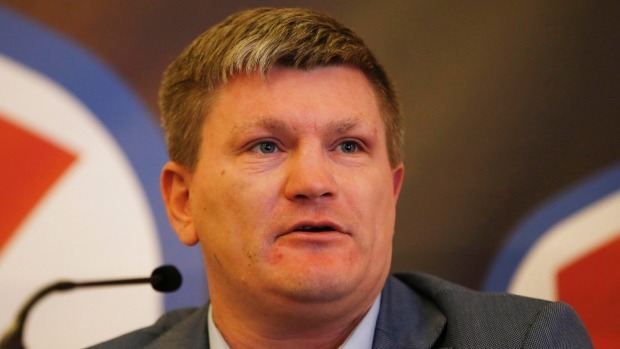 RICKY HATTON retired from the sport of boxing for good in 2012 after an incredible career that wrote his name into British sporting history. The Manchester man won world titles across two divisions, taking on some of the sport’s most revered and feared in the process. Wins against Juan Urango, Kostya Tszyu and Paulie Malignaggi secured his legacy even before he stepped in to the ring to face all-time greats Floyd Mayweather and Manny Pacquiao. But what some remember most fondly about the legendary fighter was his penchant for a pint – despite his career as a top class athlete. He was once affectionately nicknamed “Ricky Fatton” – a moniker he accepted with a smile – as a nod to his fluctuating weight between fight camps. During an interview with BBC boxing reporter Steve Bunce, the Hitman revealed what the reality was behind the scenes. “I knew I couldn’t cut any corners because I put that much weight on I knew if I cheated in any area, whether it be going for food or having a drink, I would not make that weight,” he explained. “I’d have my last pint of Guinness that Sunday, I’d put it down and say ‘listen lads, I’ll see you in 12 weeks, don’t bother phoning me, don’t bother speaking to me, see you in 12 weeks’. “There’s only so many burgers you can eat and so many pints you can have. Since hanging up the gloves, he turned his attentions to coaching, steering Zhanat Zhakiyanov to world championship glory to claim his first title as trainer. The 38-year-old now has high hopes for British boxer Nathan Gorman, who he claims could be the next big thing in the heavyweight division. Bookies Betfair are currently offering 10/1 for Gorman, who is undefeated in 10 professional bouts, to win a WBC, WBA, WBO or IBF world title. How much further off the rails do you need to go than whacking your dad with a left hook in a car park? Ricky Hatton will forever be remembered for two things: TBE's check hook that sent him into a turnbuckle, and "Right Hook, Roll Under" that sent him stiff.